Russian and German Foreign Ministers, Sergey Lavrov and Frank-Walter Steinmeier, discussed during their meeting in Hamburg on the sidelines of a meeting of the OSCE Council of Foreign Ministers on Dec. 7 the current state of bilateral relations, the results of the German OSCE chairmanship and the situation in Ukraine and Syria, the Russian Foreign Ministry reported on Dec. 8. "The two ministers discussed the current state of the Russian-German relations," the ministry said. 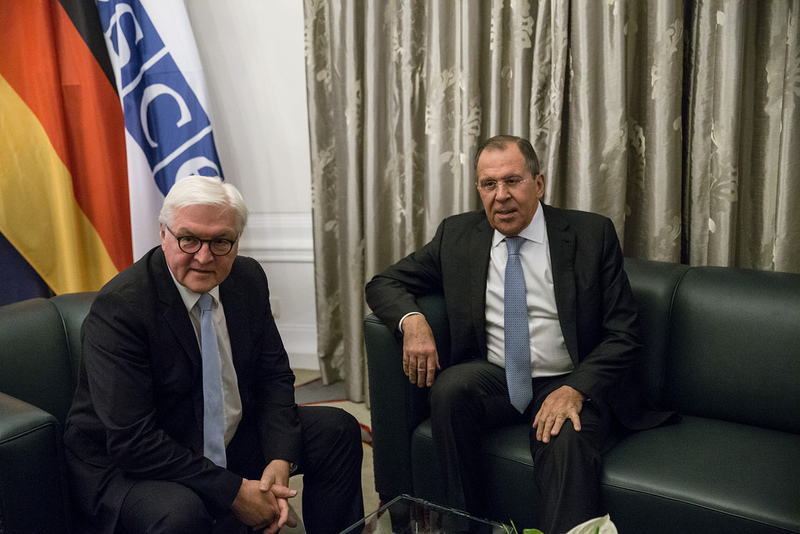 "They exchanged views on pressing issues on the international agenda, including the results of the German OSCE chairmanship and international efforts to resolve the Ukrainian and Syrian crises."